Website navigation – Is yours friendly? Is your Homestead site chasing visitors away? If your navigation isn’t simple and straightforward you could be losing customers. One stat claims that 1/2 of online sales are lost due to the result of a navigation that is poorly designed. That’s a pretty big number! Your Home page is THE most important page of your site and it should be listed first in your navigation menu. Visitors look for the Home page link in the regular navigation so placing it elsewhere is a stopper for your potential customer. Every time you interrupt the flow of the visit you distract the visitor from their intended mission and make them focus on something other than finding/buying what they came for. Can your visitor easily discern where each link in the navigation will take them or did you go with cute and clever link names that make the visitor stop and think about what that link refers to and where it may take them or what information it will yield? Using what you perceive as clever page names or icons without text in the menu can be another stopper for the visitor that sends them elsewhere. Consistency counts. Is your navigation the same throughout your site? It should be in the same location on every page, maintain the same structure, look and feel. Again, you need to make this a smooth, effortless journey, not an Easter egg hunt. Location, location, location. Where is your navigation? Ideally it should be directly below your Logo/Header or on the left hand side at the top. Placing it anywhere else is going to be a stop and think for your visitor. Don’t neglect your site visitor in the (perceived) interest of aesthetics. Have they been there, done that? It is easy for visitors to a site to get confused as to whether or not they’ve already visited a page, this is especially true on larger sites. Using a regular link color and a visited link color, viewers can tell at a glance by the color change if they have seen a particular page. How many times have you visited a site and had to get out the magnifying glass to read the menu? That menu is the life’s blood of a website yet designers/webmasters often use a tiny font and a light color for the navigation. This doesn’t mean you need to use a size 14 font in bold, black, but it does mean you should be sure the menu is easily read. Not everyone has 20/20 vision. 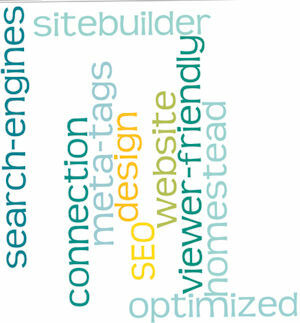 The success of a website involves many things, some big, some small, but navigation is VERY BIG. The webmaster who doesn’t follow some basic principles of good design could be chasing customers away. Posted in Search Engine Optimization, SiteBuilder Program, Website Design and tagged best web practices, web pages, Website Design, website navigation. Bookmark the permalink.